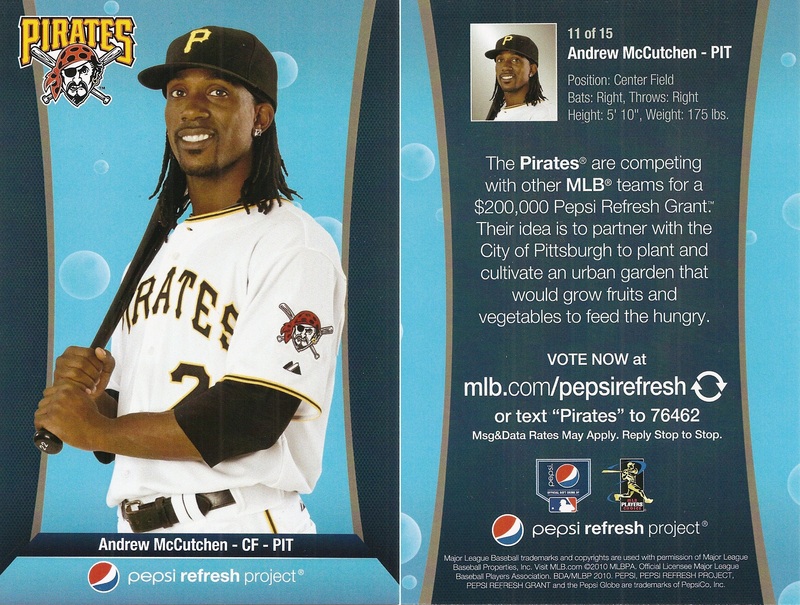 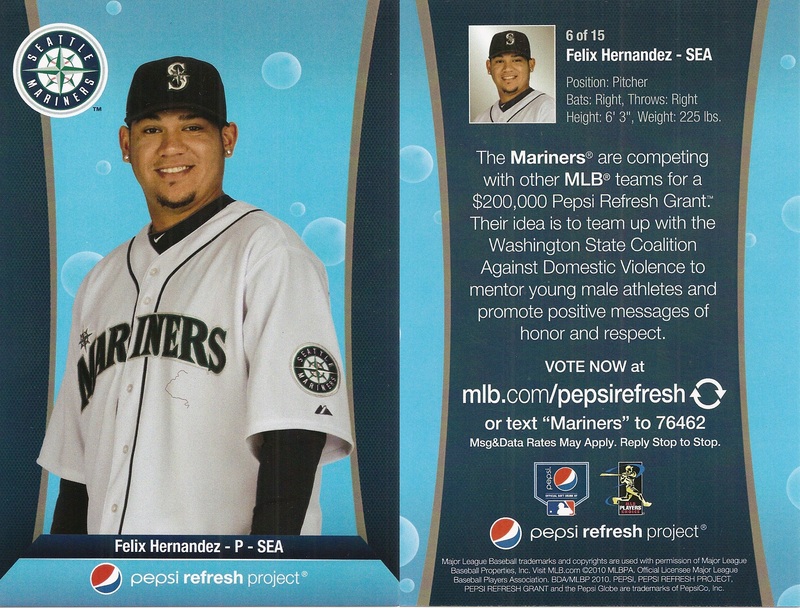 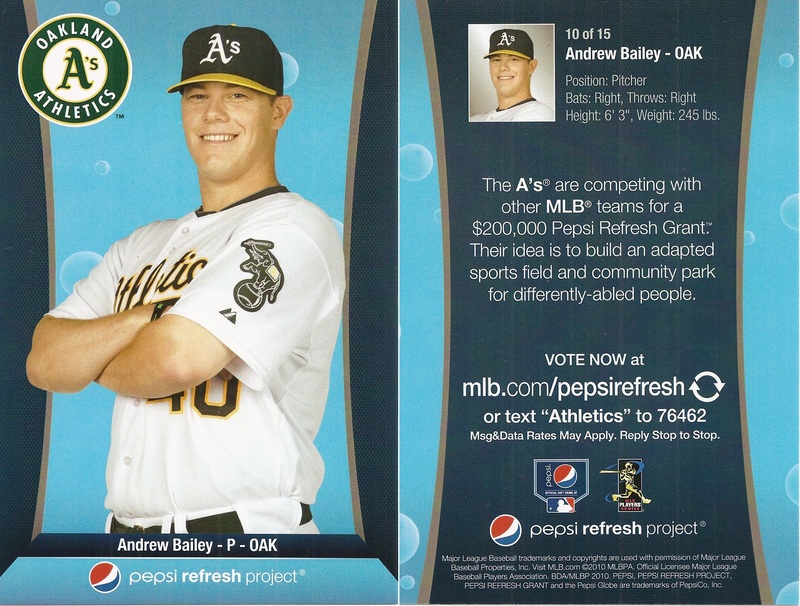 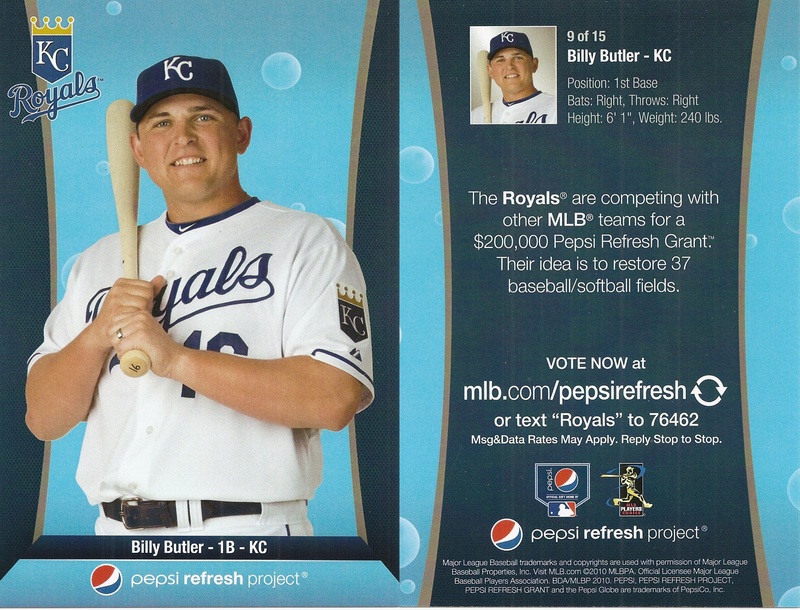 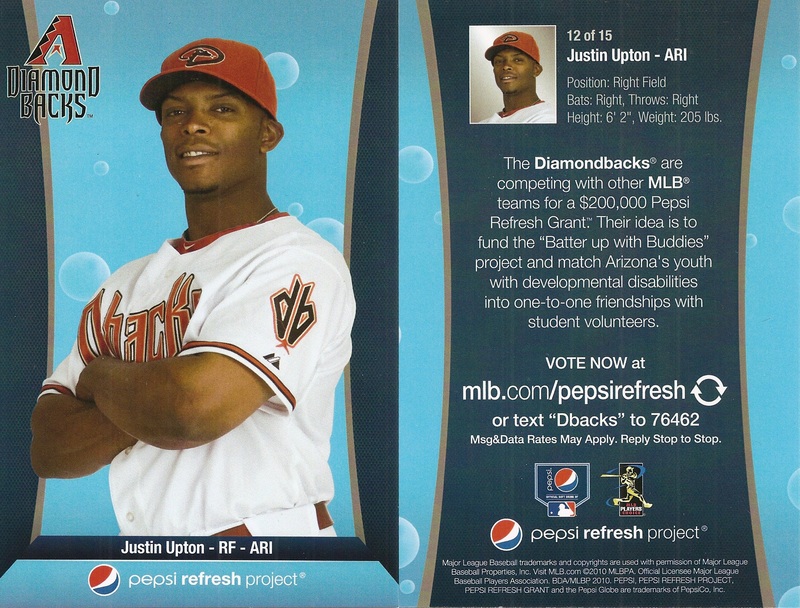 This is a 15 card 4x6 set created to promote the Pepsi Refresh project. 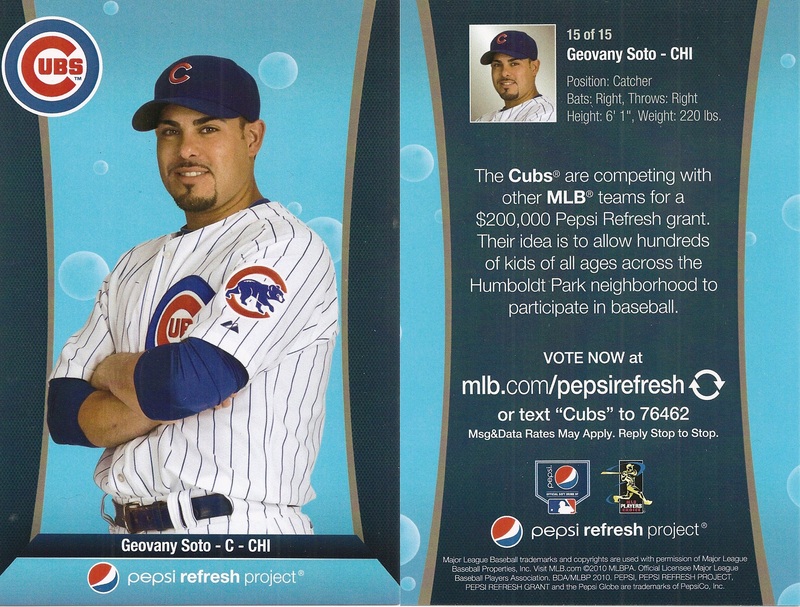 The Pepsi Refresh project was a competition created by Pepsi with a $200,00 grand prize. 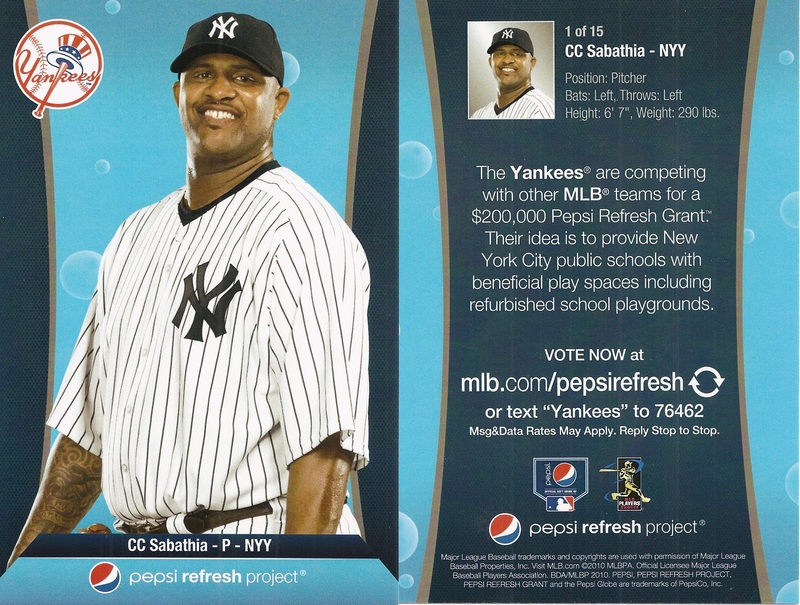 Competing teams selected an ambassador to champion a project in their community. 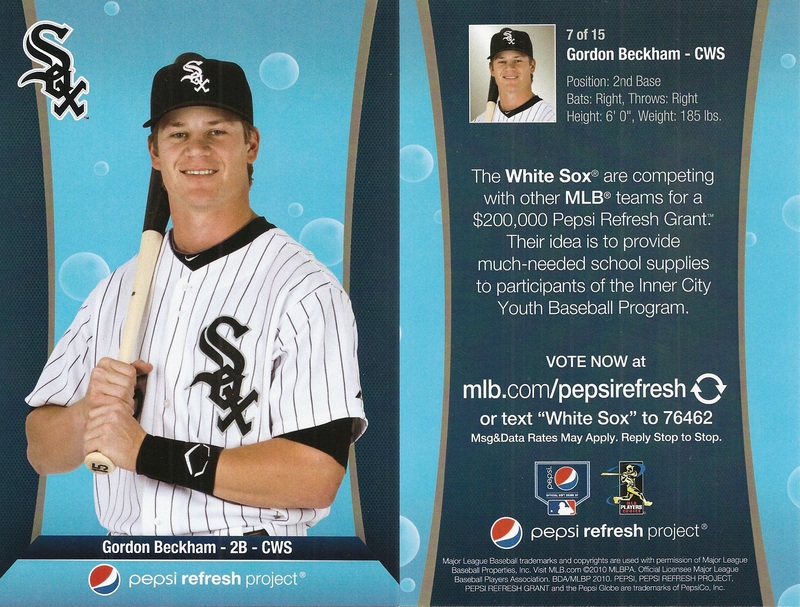 (They are depicted in the set.) 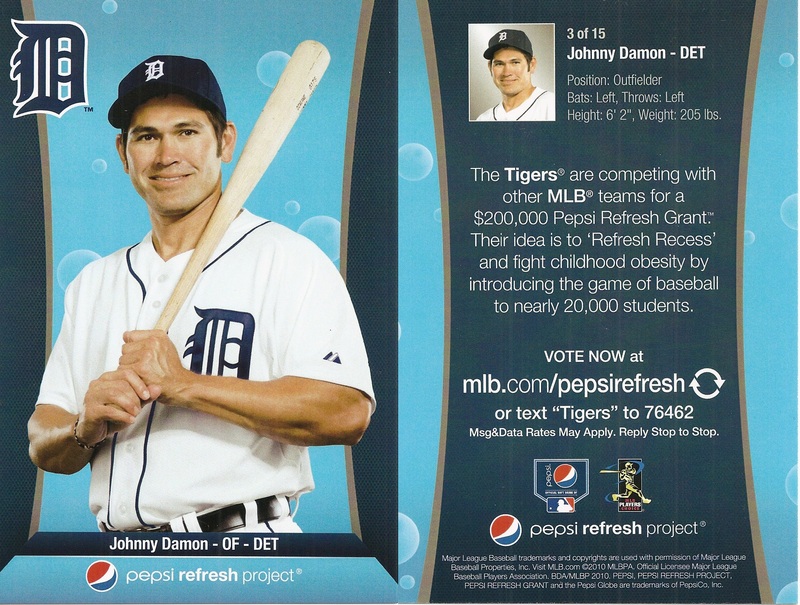 Projects with the most online votes won the prize. 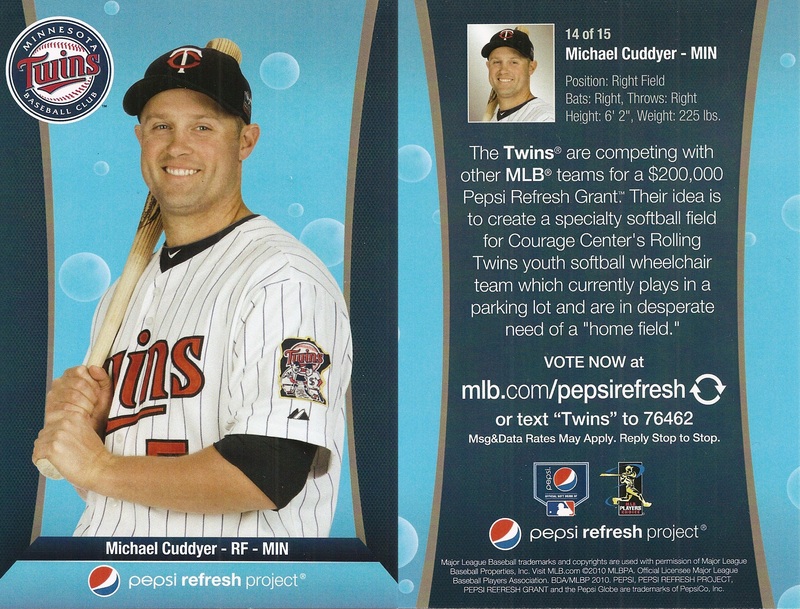 After five weeks of voting, the Minnesota Twins won the $200,000 to help the Courage Center's Rolling Twins youth softball wheelchair team. 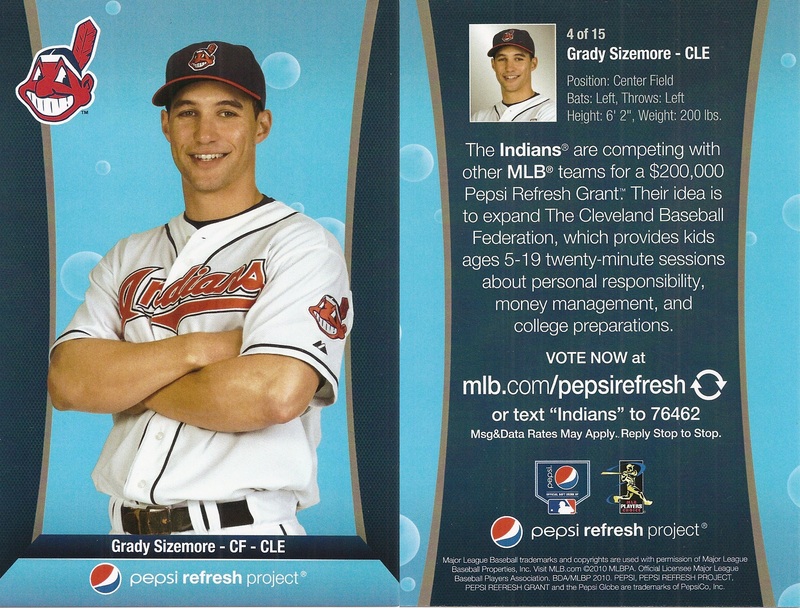 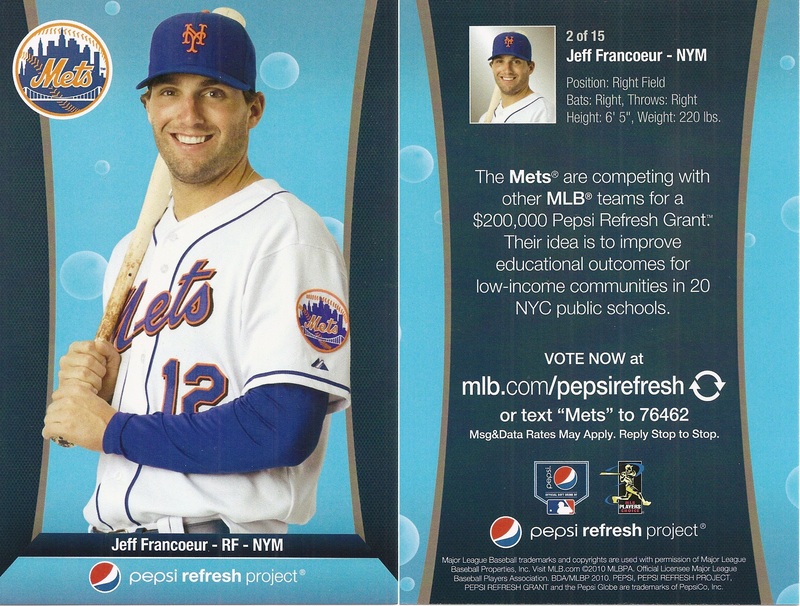 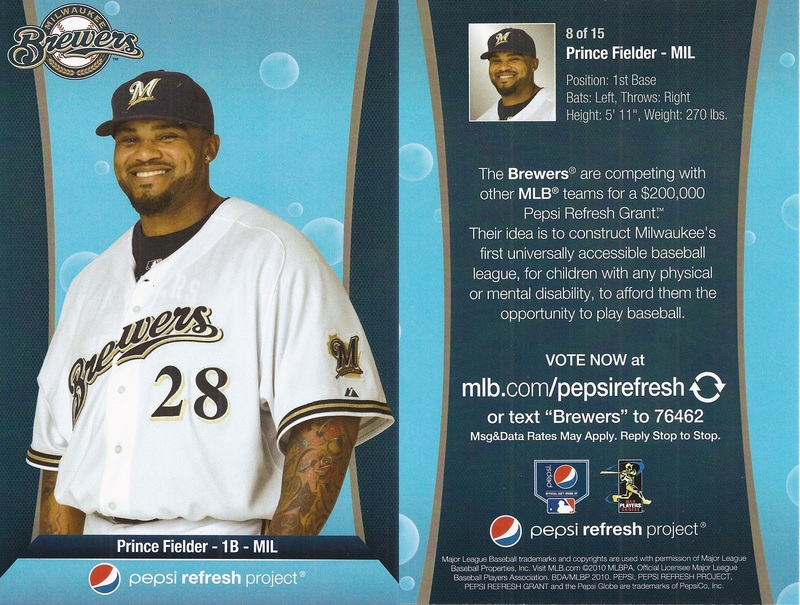 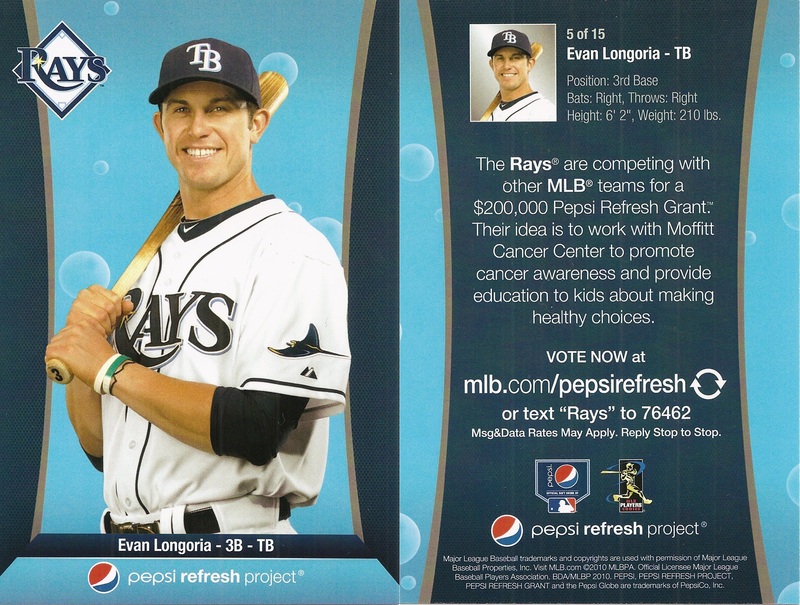 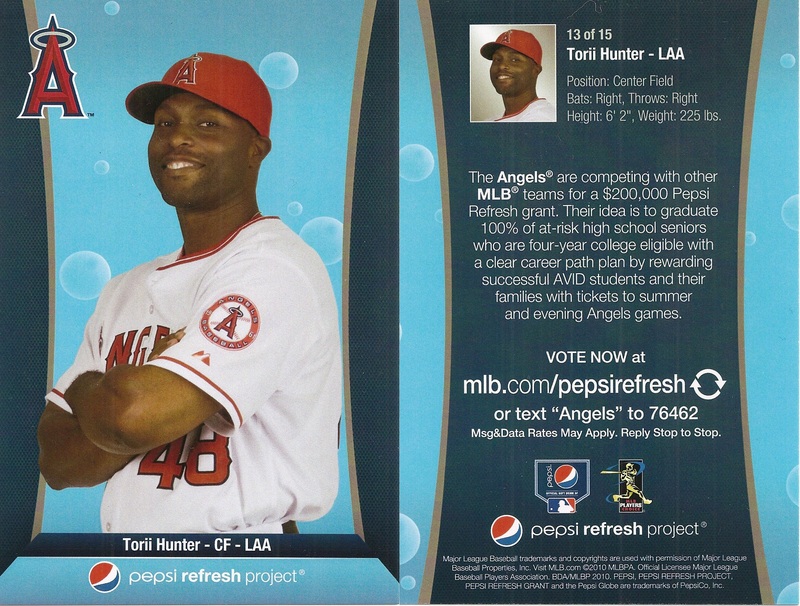 Promotional videos for each project can still be viewed at www.mlb.com/pepsirefresh.